See guest artist and hot glass demo team member, G Brian Juk in a live, narrated demonstration in the Amphitheater Hot Shop on June 30 from 6 to 7:30 pm. 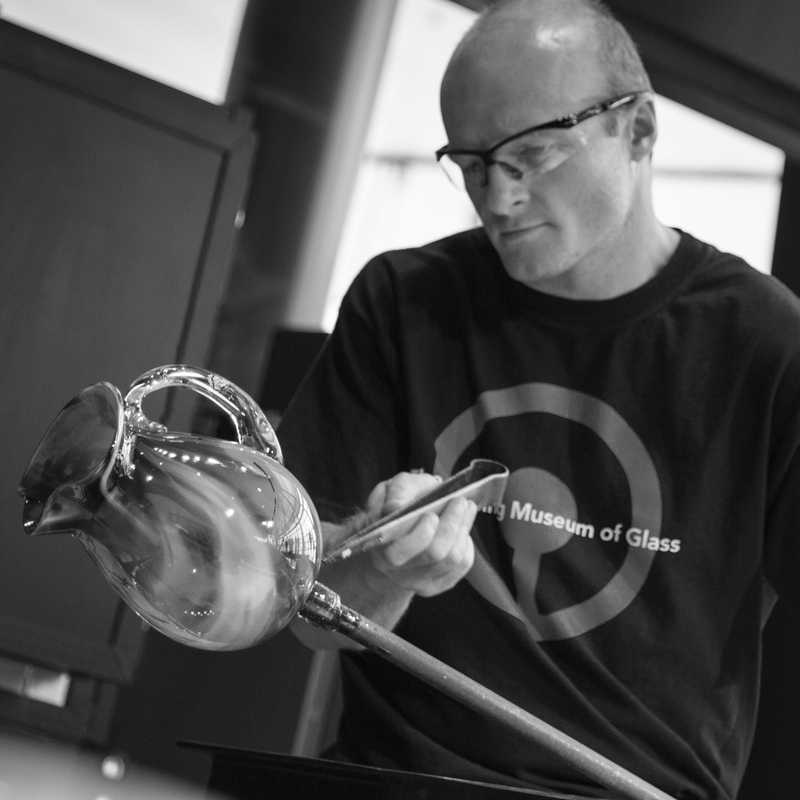 Originally from Detroit, Mich., G Brian studied glassmaking at Alfred University in Alfred, NY. He combines blown, kiln-cast, and hot-worked solid glass to make one-of-a-kind objects. Of his utilitarian pieces, he says he loves the notion of being able to forge a connection with someone who might be drinking from a tumbler or using a candy dish that he made. G Brian Juk combines blown, kiln-cast, and hot-worked solid glass to create forms of beauty. First introduced to hot glass in his hometown of Detroit, Mich., Juk went on to study fine arts at Alfred University in New York. By making utilitarian pieces, he feels a deeper connection with the user.